I simply adore writing our monthly inspiration posts from France. While it doesn’t happen all that often, whenever it does I always feel like I have so much more to share with you. It’s probably got something to do with the fact that I’m focussed on taking everything in. Or perhaps it has something to do with the amount of time I spend on the internet learning more about the things I’ve seen, experienced or tasted. Regardless of the reason, I have heaps of French inspiration for you this month. I know this is going to sound like the biggest cliché in the world but I’m always more inspired to write while I’m in France. I’m writing this post from our hotel (Hôtel Odéon Saint-Germain) while I overlook Parisian rooftops and I’ve got that many article ideas bubbling up, I’m frightened I’ll lose them before I can capture them all. I think Scott is slightly concerned that I’m planning to sit here writing all night! But we all know that I will be tempted by all of Paris’ yummy food and wine eventually. So before that temptation occurs, let’s dive straight in. In Distant Francophile tradition, we’ll start with looking at what is on in Paris during October. This month, I’ve returned to the fabulous My French Life™ team for advice on what to do if you in Paris this month. I’d suggest that the Vendanges de Montmartre would definitely be worth a look. It was actually on during our very first trip to Paris…. But it wasn’t until an impressive array of fireworks lit up the skies above our Montmartre apartment that we realised we’d just missed the event! One day we will experience that party properly. And like just about everyone I know, I’d also be more than happy to check out the Salon du Chocolat if I ever get the chance. Speaking of My French Life™, make sure you also take a look at our latest collaborative piece while you are there. In it, we share another classic French dish that you can try at home. I promise that this one transport you to France with just one bite. I’ve shared many times in the past that autumn is my absolute favourite season. And it goes without saying that I think autumn is absolutely the best season to visit Paris. But if you need more reasons as to why you should come to Paris at this time of year, look no further than this article from the team at Paris Perfect. We are not spending much time in Paris this trip. In fact, we are only here overnight. We spent this afternoon people watching and taking as many photos as we could possibly manage. 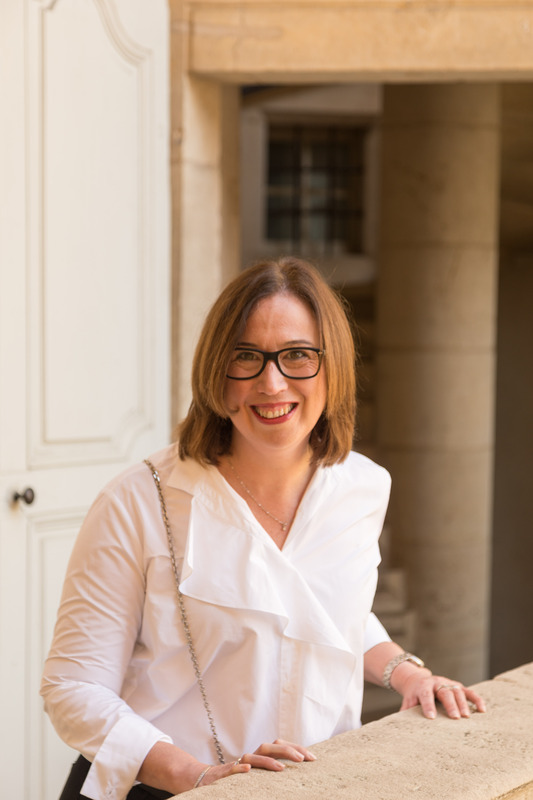 But there are many ways to spend 24 hours in Paris – and I love reading about how fellow Francophiles experience this amazing city. Here’s how Anna from Paris With Me recommends you spend a day. I don’t know about you, but I always think carefully before I address a French woman with either the words Madame or Mademoiselle. Turns out that I was right to think I could be on shaky ground, as this piece from Hip Paris Blog explains. I think Scott and I are fairly decent trip planners (click here and here for our latest pieces on planning). But despite our experience, I’m always on the lookout for new travel planning ideas. One tool I’ve never employed in my own planning is Pinterest so I was quite interested when I came across this article from Jo at frugal first class travel. My love of fine fragrance is no secret to regular Distant Francophile readers. It really is an obsession for me. Not only do I love wearing French perfume but I also enjoy learning about it. This article in a recent edition of the Divine Living Magazine provides a nice high level overview France’s perfume capital. Finally this month, Fiona Ferris, author of 30 Chic Days has written another book. Entitled Financially Chic Fiona’s latest effort provides insights and tips into living luxuriously on a budget. I find Fiona’s writing style incredibly easy to read. As a result, I managed to finish this thought provoking book in a single sitting during our flight to France. Wishing you a fabulous month, full of French fun. P.S. Want to ensure you don’t miss a moment of our latest adventures in France? Then make sure you sign up for regular updates. It’s easy! All you need to do is fill in your details in the form at the bottom of this page. And you’ll also receive a free copy of our gorgeous ebook, Entrée as an added bonus. I highly recommend the old school magazine Pariscope for details about things that are happening. It’s sold at newsstands and there’s an app, but otherwise it isn’t online. It lists EVERYTHING. Also, lefooding.com has restaurants and food events. Both are Paris-oriented. Beyond, check out the Web sites for tourism offices of the regions or cities you’re headed to for news about festivals and other events. I have used Pariscope as a reference since my first visit to Paris in 1973 – exceptional! less than a euro, it is a weekly and small enough to tuck into a purse (or large pocket). My other go-to is an app called Time Out for Paris (it is also available for London and perhaps other cities). It has all sorts of things, and you can save your favorites. Headings include ‘what is going on right now’, ‘free outings’, ‘current movies’, ‘concerts and evening performances’ etc. The Mairie de Paris also has an app called ‘Que Faire à Paris’ which is excellent. Between these three apps (or two plus a little magazine), there is absolutely no excuse to waste a single minute wondering what to do! Thanks for those tips Alisa. If it’s ok with you, I’ll reference them in next month’s inspiration post! Thank you Catherine. You really do have the best possible tips! I love the Villa Madame Hotel also in Saint Germain. It is a beautiful boutique hotel close to the metro and several attractions. I’m going to London in March and was thinking about spending a couple of days in Paris. But some friends said the Parisians are very anti-tourist since all of the terrorist attacks. I’m American. What have you seen or felt as a tourist in Paris since all of these unfortunate incidents? I was in Paris in March 2015 and had such a wonderful time. I don’t want anything to change that image of Paris in my mind so if it means I should wait to come back and sentiment is a little better, I will. I was in Paris this summer for five weeks, when the attacks took place in Nice – and the attack in Normandy at the church. I felt absolutely no difference in the response to me as an American before and after the attacks. In Audrey Hepburn’s words: “Paris is always a good idea.”, and that is still true. Bon voyage – you will have a wonderful time again! Hi Gretchen. 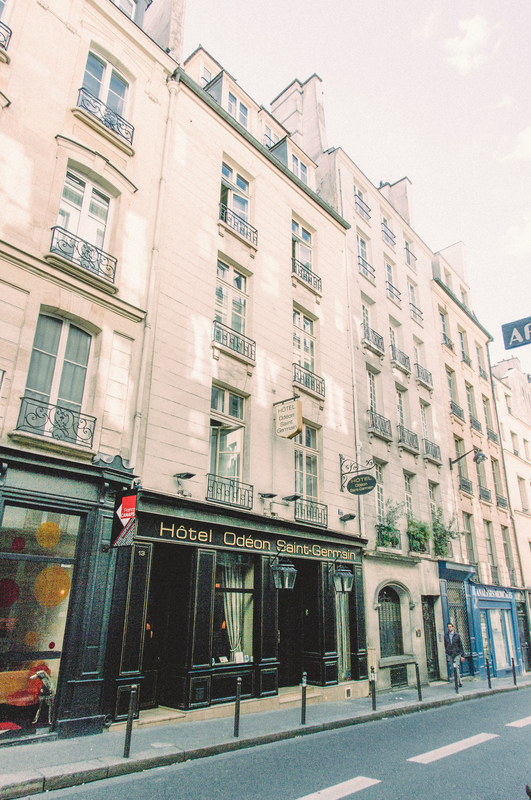 Thank you for the tip on the hotel – hotels in Saint Germain are certainly lovely. In terms of your question about travelling to Paris in March, our experience has been similar to Alisa’s. We were also in Paris just after the attacks in November last year and on both visits have found the Parisians to be extremely welcoming. In fact, we have some acquaintances there and they’ve reported that the Parisians actually want tourists to visit because when the tourists stay away (due to their own fears), livelihoods are impacted. And the Parisians have endured enough with the attacks without having their jobs impacted too. Obviously you need to be comfortable with whatever you decide, but if I was in your shoes I wouldn’t be spending all my time in London in March when Paris is so close!!! Thanks Janelle and Alisa, this makes me feel a lot better.